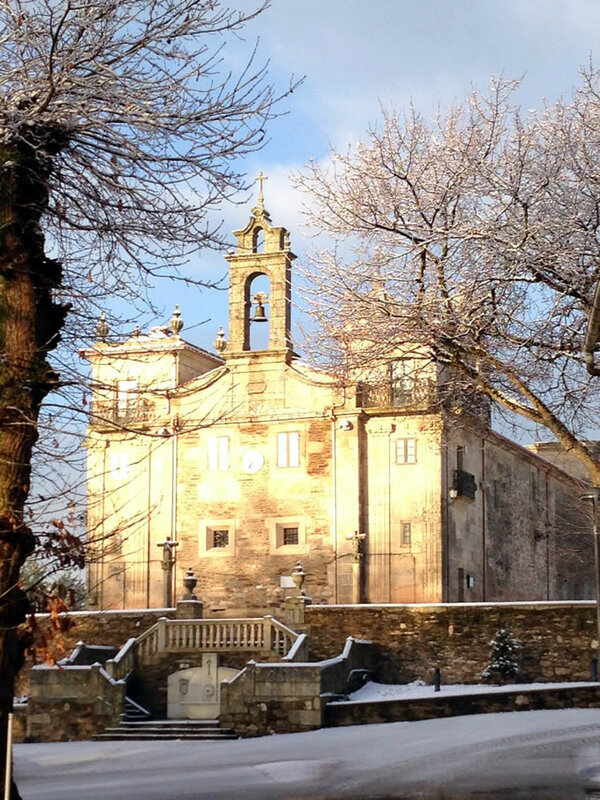 The current Sanctuary of Our Lady of O Corpiño is in the heart of Galicia, in the lands of Deza (the name is given by the Deza river). The Sanctuary is also at the foot of the Mount Carrio. The origins of the shrine start in the VIII century, when a hermit lived in this mountain. The inhabitants of the place has great admiration for him. He was considered as an example of faith with a great devotion to the Virgin Mary. After his death, the townsfolk decide to build a simple hermitage with humble proportions to house his incorrupt body. After the arrival of the Arabs, the place was sadly abandoned until the XII century, when the Blessed Virgin Mary appeared. It happens to some shepherds as it is told more deeply in our section of the apparitions. After the aparition, this place of devotion became a center of pilgrimage to the Virgin Mary. According to the Book of the Shrine Construction, on the 7th September 1740, Mr. Juan Roque Gil, the Archdeacon of Deza, visited the place. There he commanded to “… form and repair the window of Saint Cajetan and to tile the aforementioned Sanctuary again…”. Accordingly to this, we can say that the building is much earlier than this date of 1740. Although it had been expanded and modified several times. First, between 1743 and 1768, a church of one nave was erected. Between 1782 and 1803 a transept was added changing the church to a latin Cross shape. Between 1867 and 1872 two side naves were added converting it in the current Hall Church. 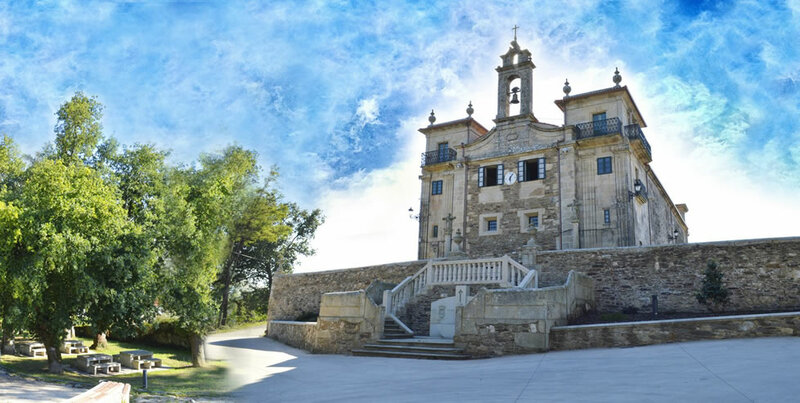 In the construction of the Sanctuary the most important masters are: Paulo Solla, Francisco Fíntela, Francisco Jozar and the rector Luis Fondevila, who leave us the current layout.